Createspace Independent Publishing Platform, 9781985650268, 272pp. Mike Clelland's 2015 book, The Messengers, was met with high praise. 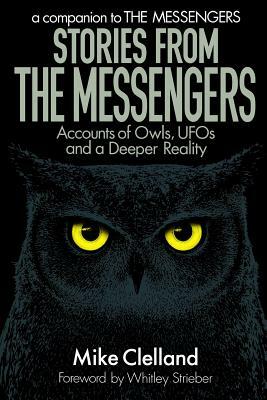 In it he explores the mysterious connection between owls, synchronicities and UFO abduction. It was his first-hand experiences with these elusive events that have been the foundation for his research. The book is also a personal memoir, and a journey of self discovery. His website (www.hiddenexperince.blogspot.com) explores these events and their connection to the alien contact phenomenon. It also features extended audio interviews with visionaries and experts examining the complexities of the overall UFO experience. Mike is also considered an expert in the skills of ultralight backpacking, and is the author and illustrator of a series of instructional books on advanced outdoor techniques. After 25 years living in the Rockies, he now lives in the Adirondacks.